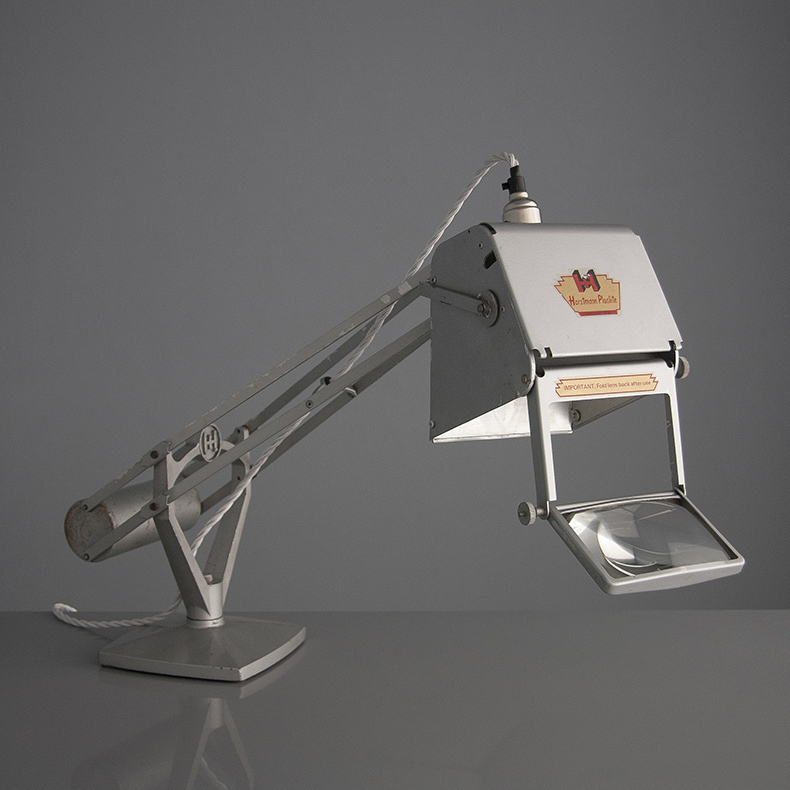 'The Horstmann Pluslite' is a vintage English desk lamp, originally designed for map reading and produced Circa 1940. These lovely examples with their disticntive 'roller' style counterbalance, come with their original paint finish cleverly preserved and two still with their original magnifying lenses. 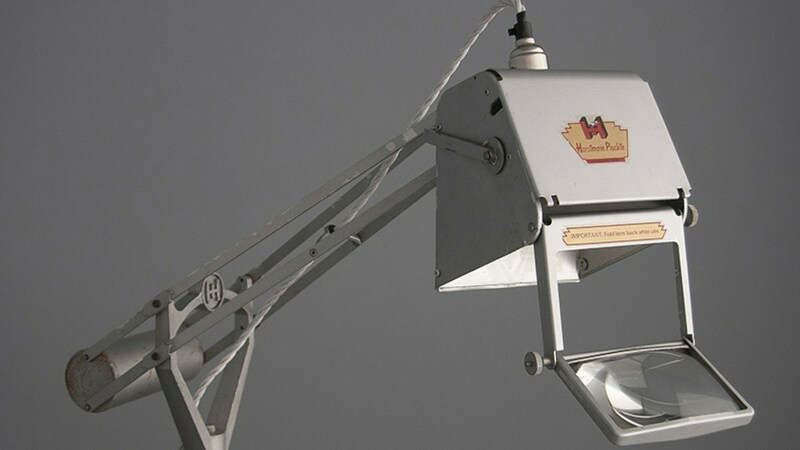 Lights such as these would have illuminated the map room desks of WW2 and beyond. 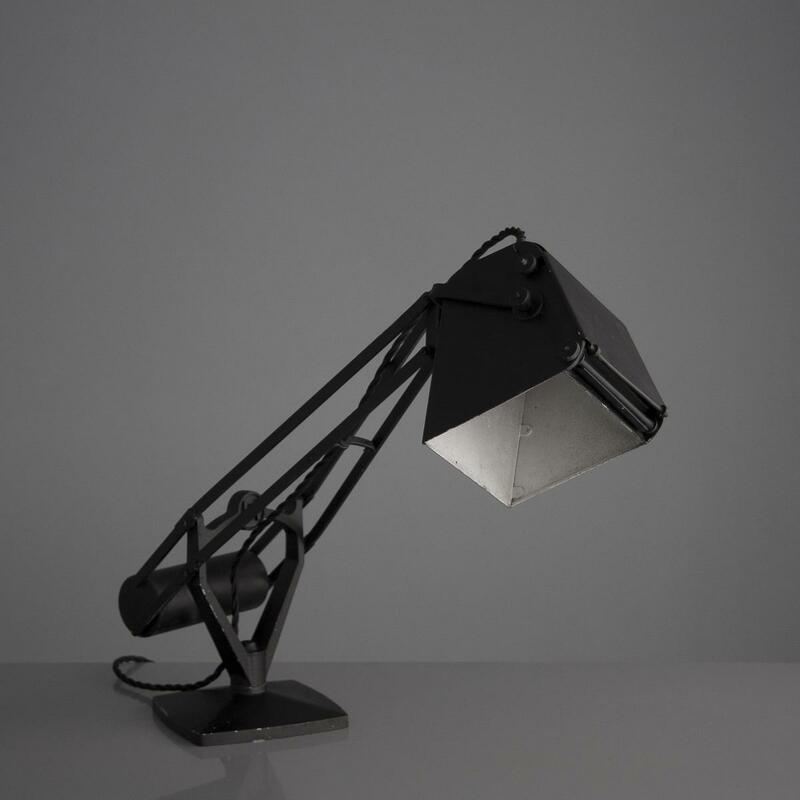 Our Latest Lights - From industrial enamel pendants by Benjamin and Cryselco to Large aluminium lights from Poland and Russia. Our latest lights- From retro glass ceiling and pendant lights from the 1960s and 70s to a feature copper floor light from the 1940s.